Princess cut diamond shaped wedding ring created with 0.35cts of channel set diamonds along a gently shaped channel with 2.8mm ring width. This contoured Wedding Ring design curves to accommodate Engagement Rings which do not fit with a straight Wedding Band. With a total Diamond weight of 0.35cts, it adds a touch of luxury to any Bridal set. Each Princess cut Diamond has been expertly graded F Colour and VS1 Clarity prior to being set into the design. The Wedding Band itself measures 2.8mm in width, which is both stylish and comfortable. 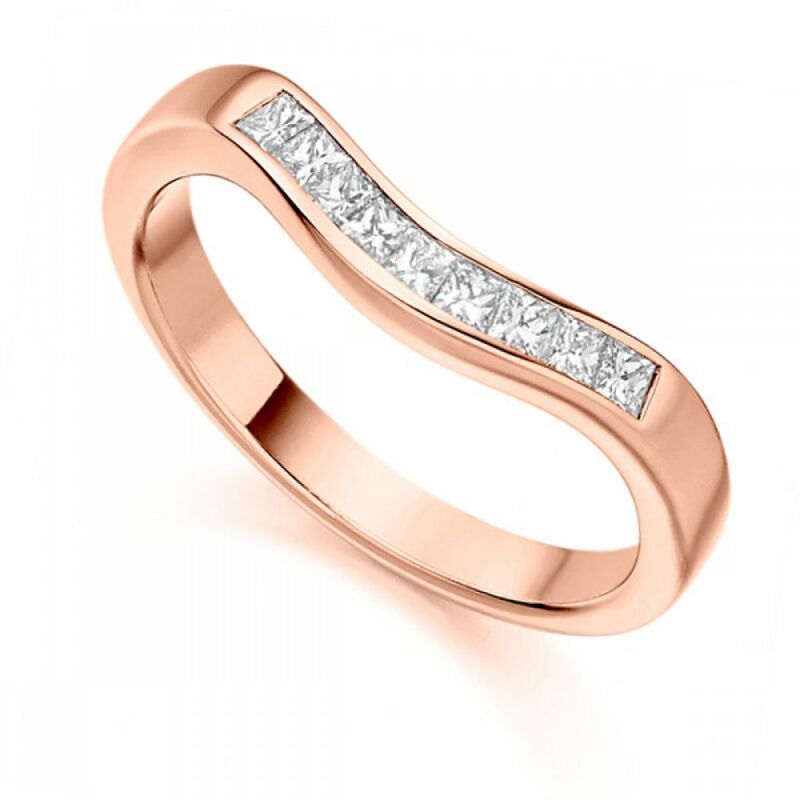 We can craft your ring for you in a number of precious metal options, including 18ct Rose Gold, 18ct White Gold, 18ct Yellow Gold, Palladium and Platinum. Please allow us approximately 4 weeks to craft your Wedding Ring for you in your desired precious metal. It will then be delivered straight to your door by secure courier, presented in our beautiful Serendipity Diamonds packaging, ready for the special day. If you are not sure on which Wedding Ring will suit your Engagement Ring, please feel free to contact us and we can advise you further.